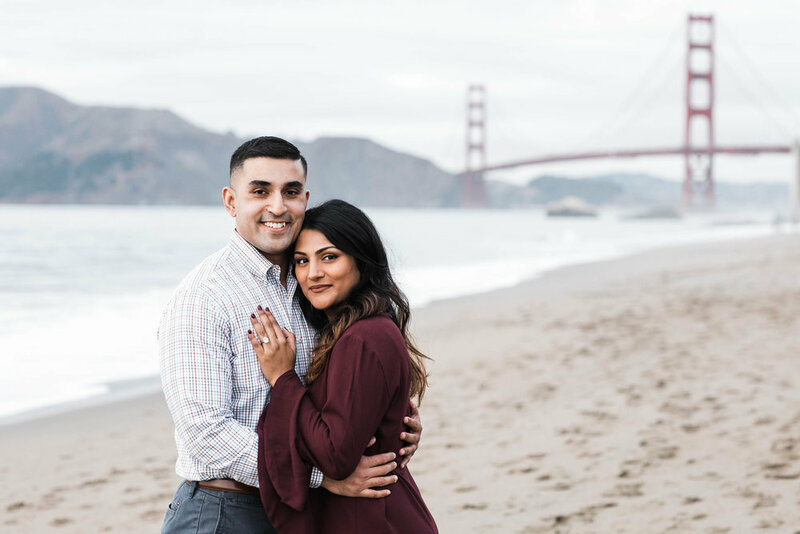 Dilshan knew Shiyana was anticipating a marriage proposal during their upcoming trip to Sri Lanka, but he was one step ahead of her with a plan to propose during their Thanksgiving holiday in San Francisco. She was stunned to learn her friends and family were in on it, AND he'd hired a photographer! 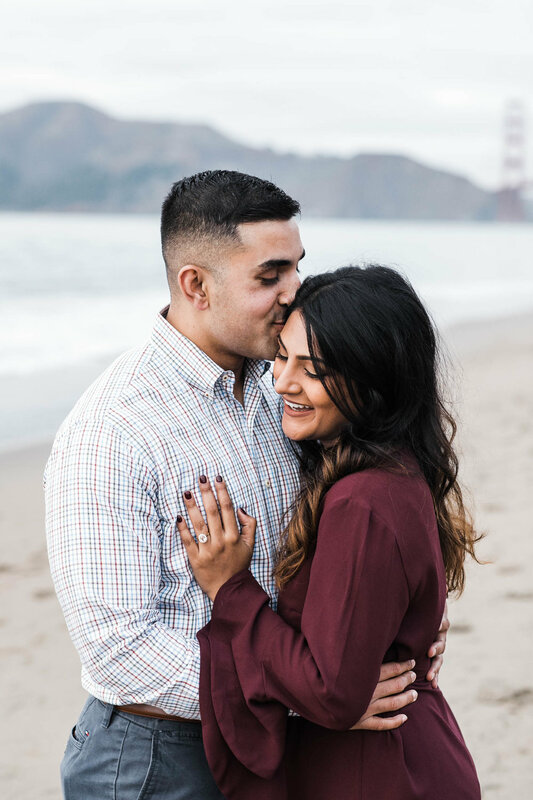 After an impromptu engagement session on the beach with the icon bridge in the background, aunts, uncles, and grandma came down to the beach for a pre-dinner celebration! Sri Lankan custom of adoring the bride.